This beautifully updated 1521 Sq. 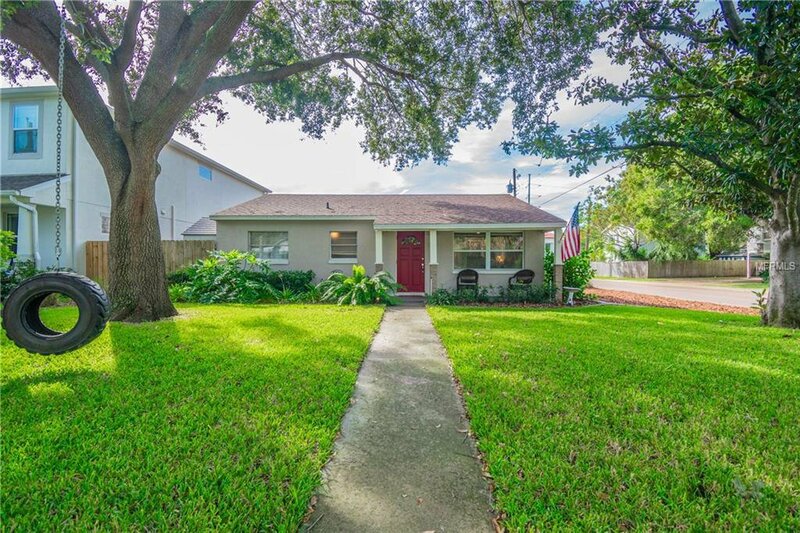 Ft., 4BR / 2BA Block Construction SOUTH TAMPA home is located within the highly-desirable Roosevelt, Coleman, & Plant High School Districts! It has been very well maintained, to include updates within the last few years such as new HVAC, roof, flooring, kitchen remodel, Master Bedroom addition, garage addition, and many more updates throughout - It's sure to bring the new Owners many years of maintenance-free living! As you enter, you'll feel right at home with the open floor plan, which includes a generously sized Master Bedroom that has an on-suite Master Bath, walk-in closet, and direct access to the spacious outdoor patio! Want even more heated square footage? Not a problem! The garage was built with expansion in mind, so it can easily be built-out to add approximately 200 Sq. Ft. of additional heated living space, while still leaving plenty of room for parking! Enjoy living close to shops, restaurants, entertainment, sports venues, Tampa International Airport, and Bayshore Blvd! ***NO FLOOD INSURANCE REQUIRED (Zone X)*** This home truly has it all, and is a must see for anyone who desires to live in South Tampa - Schedule your private showing today! Listing courtesy of INSTA REAL ESTATE SOLUTIONS. Selling Office: EZ CHOICE REALTY.